Founded in 2014, U-touch is a National Based on Multi-Touch Infrared technology, we now have 3 product ranges, 11 series, hardwares and 2 kind of softwares, with touch devices and morden Multi-Media teaching devices as main products. 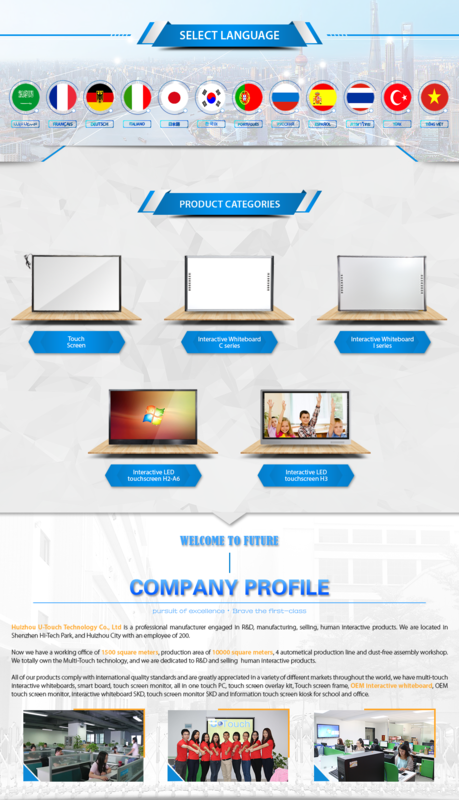 Founded in 2014, U-touch is a National Hi-tech trading company who is engaged in selling, human interactive products. We are located in Huizhou Hi-Tech Park, with a sales team of 15 people. Now we have a working office of 123 square meters, cooperation factory with production area of 8000 square meters, 2 autometical production line and dust-free assembly workshop. We totally own the Multi-Touch technology, and we are dedicated to R&D and selling human interactive products. 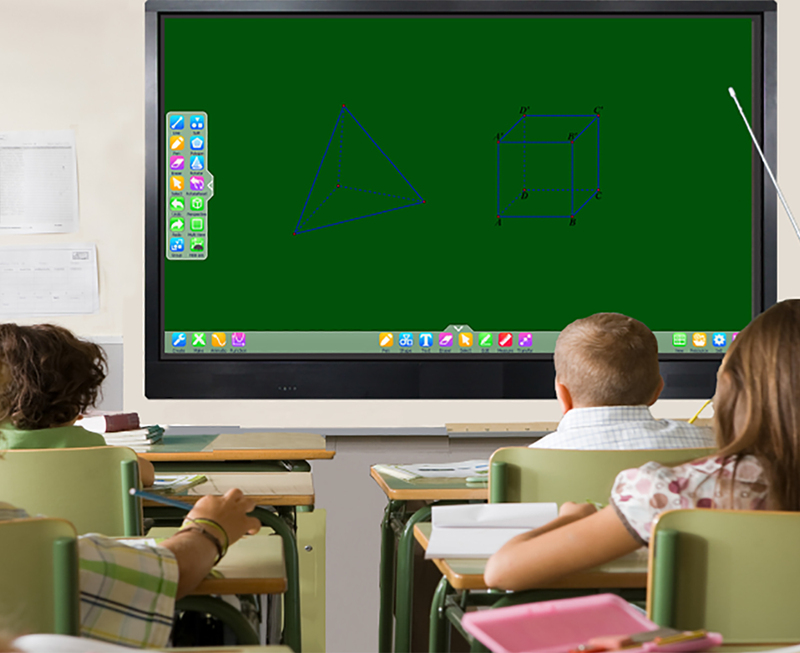 Based on Multi-Touch Infrared technology, we now have 3 product ranges, 11 series, hardwares and 2 kind of softwares, with touch devices and morden Multi-Media teaching devices as main products. Quality is everything. U-touch has always been paying attention to quality. From the establishment, the company introduces ISO9000 QMS, and sets up ERP system to control orders and materials from all around. QC plays the core part throughout the whole process, which includes product design, product quality control, selecting and identifying the suppliers, incoming materials test, production process control, checking before delivery, and after sales services like this. This not only assures the quality, but decreases the reject ratio to a level far lower than the counterpart in the field. U-touch is widely known for the stable quality and performance among customers, setting up better cooperation with the high-end brands at home and abroad. At the same time, U-touch signs strategic agreement with many a companies in China, and forms plants with foreign partners to co-develop overseas market. On service, U-touch provides all-around supports for customers both at products and technologies. 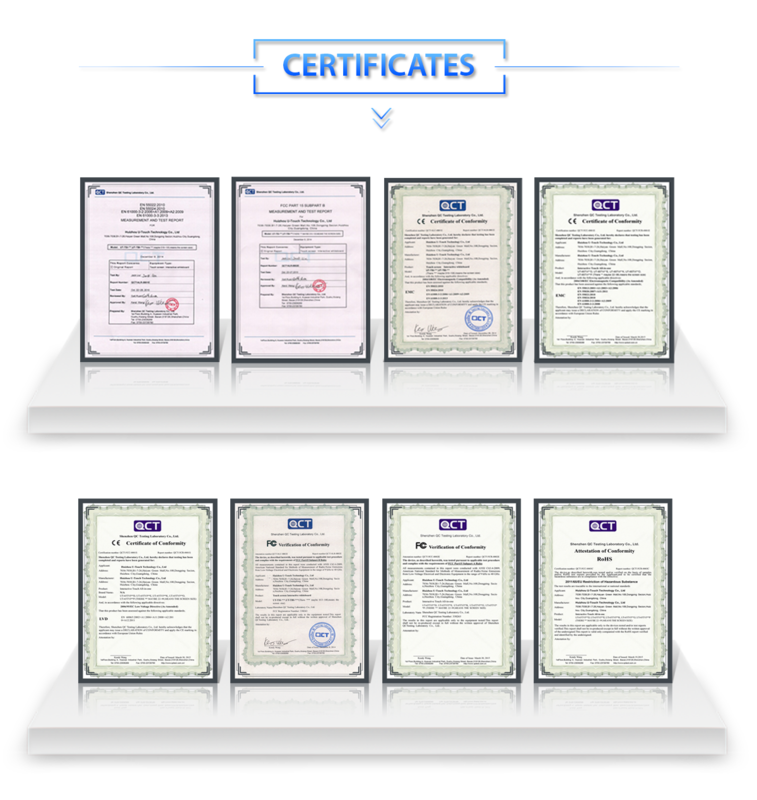 The company delivers tailor made products to meet their specific requirement. At the same time, the customer can be involved in the design process from product design, to achieve win-win situation for both parties by providing complete product design and production guide to customer. We'll keep working hard just for the customer experience.